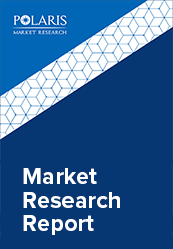 The global monoclonal antibodies (mAbs) market is valued at USD 88.2 billion in 2017, and is anticipated to grow at a CAGR of 6.1% during the forecast period to reach USD 148.9 billion by 2026. Monoclonal antibody is an antibody with monovalent affinity that is produced by identical immune cells that are all clones of an ancestral cell. Monoclonal antibodies are mainly used in the field of diagnostics, treatment of diseases such as cancer, autoimmune diseases, inflammation disease and infectious diseases, and protein purification. The global mAbs market is mainly driven by an active pipeline, wherein many mAbs are at the pre-clinical stage and various stages of clinical trials. Also, increase in the research and development activities coupled with favorable government policies attribute to the market growth. Furthermore, the surge in the demand for personalized medicine, increasing prevalence of cancer and other chronic diseases, and rising awareness about the latest medical therapies among medical professional and patients would further boost the market. However, mono-specificity of mAbs limits its extensive use in the field of therapeutics. Also, the manufacturing processes of mAbs are very robust, wherein even a minor change in the antigen structure can affect the functionality of the mAbs. The other factors which impede the market growth include extensive time consumption, high costs of manufacturing, quality control and patient compliance. Furthermore, price correction, emerging targets such as central nervous system disorders and new delivery strategies for mAbs provide opportunities for market growth in the near future. The global monoclonal antibodies (mAbs) market is segmented on the basis of product type, production system, indication, technology platforms, target mechanism of action, care delivery setting, by route of administration, by drug types, and geography. On the basis of product type, the market is categorized into fully human, murine, chimeric and humanized. Depending on the production system, the market is divided into Mammalian Cell Culture and Microbial Fermentation. On the basis of indication, the market is further categorized into cancer, inflammation, cardiovascular diseases, transplant rejection, respiratory and infectious diseases. On the basis of Technology Platforms the market is segmented into transgenic-mouse, antibody drug conjugate, and phage-display. Based on the Target Mechanism of Action, the market is bifurcated into CGRP, HER2, CTLA4, TNF alpha, EGFR, VEGF, Anti CD, Anti IL, IgGs, and PD-1/PD-L. On the basis of care delivery setting, the market is segmented into primary care and specialty care. By Routes of Administration the market is categorized into subcutaneous and intravenous. Based on the drug types the market is further categorized in to branded biologics and biosimilars. The report analyzes the global market across North America, Germany, Asia-Pacific, Latin America, and Middle East & Africa. Geographically, North America accounted for the largest share in the global monoclonal antibody (mAb) market in 2017. The major players operating in this industry include Pfizer, Inc., GlaxoSmithKline PLC, Novartis AG, Merck & Co., Inc., Eli Lily & Co., AstraZeneca, Amgen, Inc., Abbott Laboratories, Thermo Fisher Scientific, Inc., Bistro-Myers Squibb. Mylan N.V., Daiichi Sankyo Company, Ltd., Bayer AG, Hoffmann-La Roche Ltd., and Novo Nordisk A/S. The market players have adopted various strategies such as novel product development, new product release, and venture capital investments among others to gain an upper hand in the market.